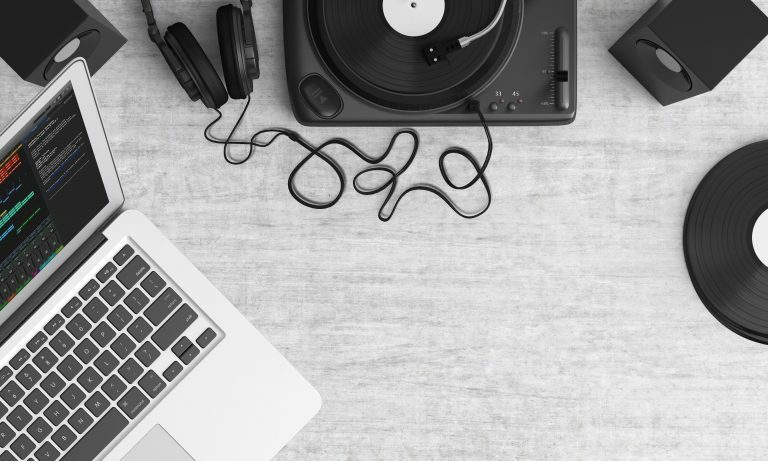 The September 18th passage of the Music Modernization Act and its provision for the creation of a mechanical licensing database, signal the increasing importance of big data analytics and data retrieval to the music industry. This mechanical licensing database paid for by interactive streaming services, will link compositions to recordings allowing for the seamless identification of intellectual property owners and issuance of blanket licenses to services such as Spotify and iTunes. This new requirement presents a unique challenge. In the past, interactive streaming services were tasked with locating the copyright owners for musical compositions or filing a Notice of Intent (NOI) with the Copyright Office. Many view the NOI process as an unfair impediment to composers. While interactive streaming services have to go directly to publishers to acquire the rights to specific recordings, record-keeping mistakes and missing contact information can prevent composition owners from receiving fair payment from the interactive streaming services. In the future, this mandate will likely precipitate a request for information (RFI) or a request for proposal (RFP). It seems natural that companies in the best position to respond will be the ones with expertise related to indexing and retrieval of sound files. Keep in mind that this potential request for proposal lies somewhere in the future, so it’s hard to say what direction the Copyright Office will choose. However, when a new set of competencies rises in importance within an industry, it’s useful to look at patent data to see who is strategically in a good position. Source: Search conducted in ktMINE Patent Search. Image from Espacenet. Are there any other companies in a good strategic position to tackle the challenge of creating a database that can index all currently marketable music by its composition and composition rights owners? By running the search below in ktMINE’s Patent Search app and restricting to granted patents we can review the top five relevant patent holders. This search reveals Landmark Digital Services LLC, a subsidiary of Broadcast Music Inc. which has already utilized technology acquired from Shazam to automatically monitor music in public performances in order to distribute royalties to artists. 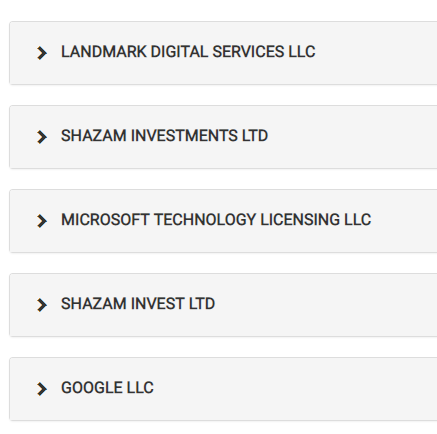 They bought the entire patent portfolio of Shazam Entertainment Ltd. more than ten years before Apple acquired the company and have already applied these technologies in the industry. 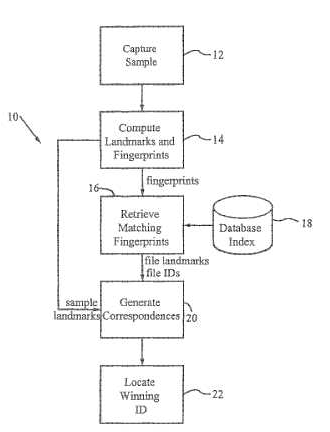 In fact, a 2010 interview with Nancy Merrill and Darren Briggs of Landmark Digital Services predicted that “As music use and the need for that data expands, passive monitoring technologies will become more necessary.” This subsidiary, however, appears to have gone out of business, and some of those patents are once again in the hands of Shazam. Google also makes an appearance in the top five patent owners for technologies related to sound files and databases, and in fact, they already own a company called RightsFlow, which operates as a subsidiary of YouTube by helping artists obtain mechanical licenses in order to produce cover songs. In a Digital Music News article, John Miranda lists RightsFlow, Harry Fox Agency, and Music Reports as potential organizations which the Copyright Office might turn to as they are establishing the MLC. Lastly, we see Microsoft makes an appearance in the top five. Microsoft would also make a viable option as a traditional database provider as they have been making one of the most well-known database products for years. It’s interesting to note that Google and Apple both have products that would make them subject to the activities of the MLC once the database has been completed. Google has Google Play Music, and Apple has iTunes. It will be interesting to see how this factors into the decisions of the Copyright Office and whether they will reach out to one or any of these companies in the future. Keep an eye on the ktMINE blog for any future updates.